Bowral Roof Painters is a team of fully licensed and insured roof painters that provide the Southern Highlands with expert workmanship and friendly service. We take great pride in providing professional roof painting services that you can rely on. Since 1996, we have painted hundreds of residential, strata and commercial properties in the Southern Highlands. If you are looking for an experienced team that will get the job done right the first time, you can trust us! Why Choose Bowral Roof Painters? Our professional roof painting services will improve the kerb appeal of your property, extend the lifespan of your roof and add value to your house. For a fraction of the cost of a complete roof restoration, we can have your roof looking like new. 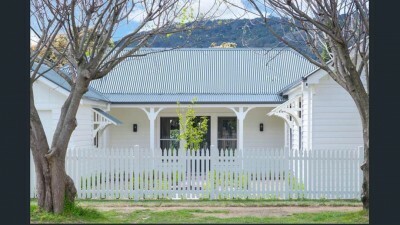 Whether you have concrete tiles, Colorbond or terracotta tiled roof, at Bowral Roof Painters we have the skills, experience and expertise to add new life to your property with a fresh coat of paint. Don't put up with a faded and mouldy roof any longer. We have access to a massive range of premium quality paints and sealants with superior resistance to mould and other stains. Our products are proven to last the test of time. If you want your roof to look good for years to come, you are going to love our selection of durable Dulux paints. Incorporating exceptional UV and fade resistance, our paints are up to any challenge that the harsh Australian environment will throw at it. Since 1996 when we first started painting roofs in the Southern Highlands, we have perfected our application processes and can guarantee our workmanship. As members of your local community, we endeavour to provide friendly service and treat yourself and your property with the greatest respect and appreciation. Give us a call today on 0424 699 240 or fill out the form on the right for a free quote. We think you will be more than impressed with our competitive rates.